How to manage them properly? How to find the needed email among the monthly correspondence? How to spend time on sending and answering letters more effectively? The first thing you should do is to organize your Gmail letters using folders, tabs, and labels. For example, you have to manage several projects, so you can group your incoming emails to the folders “Project: UFO”, “Project: Game”, etc. Your Folders will be reflected in different colors, and you will easily distinguish emails from these folders among others. 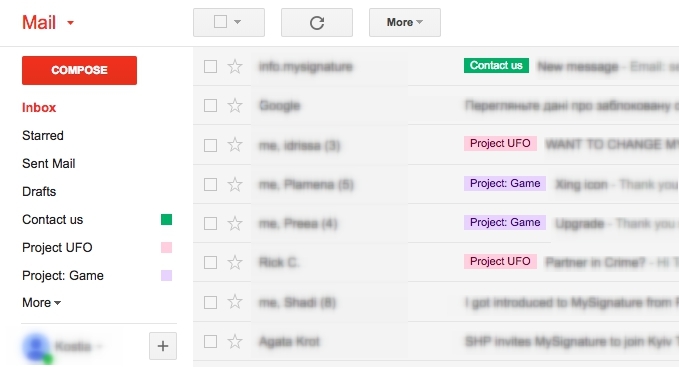 Next, you can create additional Gmail labels. There are some automatically offered like Inbox, Spam, Draft, etc. Add some more, like, for instance, Follow-up, Can Wait, Personal, Never Delete, etc. All these labels are reflected on the left of your screen, they can be marked with different colors as well. Gmail also provides you with several default tabs: Primary, where your Inbox is shown, Social, Promotions, Updates, Forums. Some of your business emails may be recognized as Promotions, so check this tab once for a while. Or you can change the settings so that the letter from Promotions tab (or any other) will be shown in your Inbox. Very often you have to find a several-month email, and scrolling through Gmail pages is absurd. You can remember the sender of the letter, or subject, or some of the text itself. This is where the advanced search is needed. To make your search more efficient, combine several search operators like from:johndoe@mail.com; has: attachment, for instance. This way you will in no time find last months’ reports from your project manager to send an invoice to the client. You can optimize your Inbox even more by setting up some advanced filters. For example, you want to see your children’s emails immediately among the tone of other letters. For that, use from: filter in Search to add addresses you want to be marked as Important. This way, all future emails will be automatically marked by a star and you will distinguish them from others. What is more interesting, you can filter the emails from one sender by some keywords. Let’s say, you’re interested in renting a house. Your realtor sends you dozens of unrelated emails, but you have to check them waiting for an offer. Set the keyword “For Rent”, and other letters from the realtor will be automatically archived or deleted (as you choose). You also can set the automatic deletion or send the letters from certain addresses to the specific Tab or Folder. There are many tools and apps that can make your life even easier. Gmail is quite friendly to third-party add-ons, so why not benefit from it. If your job presupposes sending typical emails, you can use an automatic email sender, like Mail Chimp, Boomerang, and others. They will help you to create different email templates, manage the list of recipients, set up a particular time and other conditions when these emails should be sent. This way you spare a tonne of time for another work. One more optimization for email senders is a free email signature generator for Gmail. It will create an HTML signature for you, which can be used in all letters, through all devices. Moreover, email signature for Gmail will provide you with the possibility to add social media icons, links, banners, and Google analytics to your signature. And no need to sign every letter on your own. 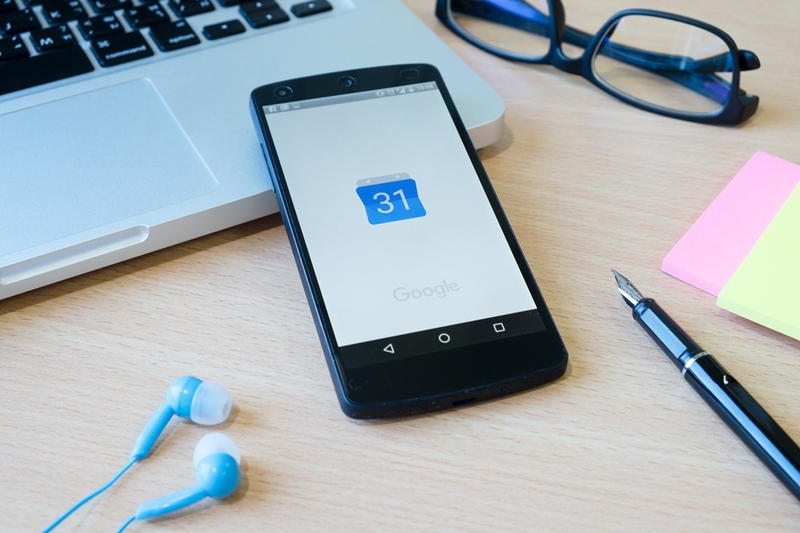 There are some more useful tools like search optimizers (CloudMagic, Greplin) for Gmail, Twitter, Facebook, Dropbox, LinkedIn, all Google apps and docs, calendar and events. After you install the app, you can type keywords and find results through all your above-mentioned programs. Now, when you updated your Gmail to a pro level, take a deep breath and go drink some coffee with your colleagues – you’ve spared enough time for a good rest. Previous PostPrevious Why Create a Banner for Email Signatures?